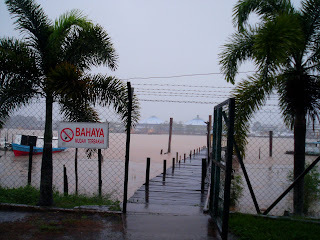 my BINTULU clicks: Rain by the Kemena River,Bintulu. Across the main town of Bintulu is the fishing village. This is the view from the village looking towards the town . The two cone-like objects in the distance are the town market's rooftops.